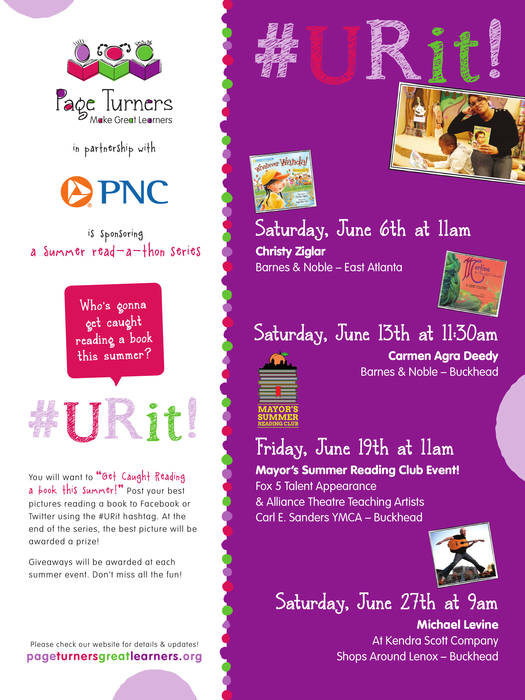 This Saturday at 11 a.m., Carmen will be at the Barnes and Noble in Buckhead with the Page Turners organization. Get caught reading a book this summer! #URit!